The Joyetech Exceed D22 Tank is 22mm diameter, with 510 thread. The Exceed D22 tank is optional 2ml or 3.5ml e-juice capacity. Easy top filling and adjustable bottom airflow. The Joyetech Exceed D22 Tank is best for MTL and DL. Available in Black, Purple, Red, Silver and Yellow. The The Joyetech Exceed D22 Tank is 22mm diameter size, with 510 thread. The Exceed D22 tank is 2ml e-juice capacity, which is also can be extended to 3.5ml. 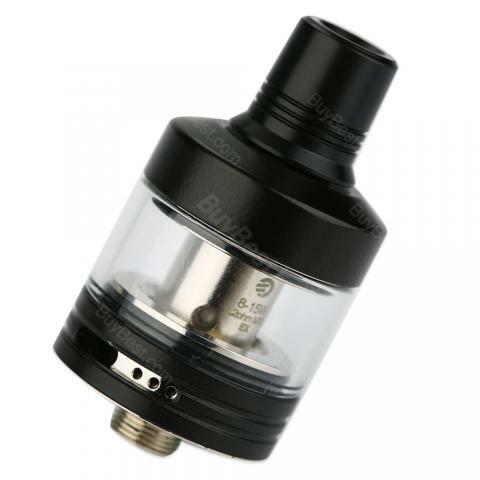 The tank features easy top filling and adjustable bottom airflow. The EX serial head coils with large holes can provide the best flavor. The Joyetech Exceed D22 Tank Atomizer is suitable for both MTL and DL lovers, which you will not want to miss. Available in Black, Purple, Red, Silver and Yellow colors. • Quick link: Replacement EX coil. Alles super. Schnelle lieferung. Die Verpackung ist gut. Sehr guter Dampf. Joyetech Exceed D22 ist chic. Joyetech Exceed D22 Tank Atomizer is enough for me and it is good for quitting smoking.